crisis guide is now available. 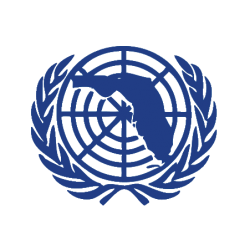 FHSMUN is Florida’s premier Model United Nations organization. We were established in 1980, when students and professors from the University of South Florida (USF) convened the first conference in Tallahassee. For more than 40 years, FHSMUN has grown into one of the most well-respected and largest middle and high school Model UN organizations in the southeast because of the extraordinary commitment of the Staff, the Board of Directors, universities and community organizations. FHSMUN’s focus has always been its educational mission and the Staff and Board of Directors remain firmly committed to that vital educational mission. We are a unique Model United Nations organization for two fundamental reasons: 1) we hold a variety of Model UN conferences throughout the state, and; 2) the educational mission guides all of the decisions and processes for the organization. Attending schools come from all parts of the state of Florida and the Staff represents most of the state universities and a number of private colleges throughout Florida. Beginning in 2000, FHSMUN has also been able to attract schools from other states including Indiana, Georgia, Texas, and Connecticut, as well as international schools hailing from Albania, El Salvador, Singapore, and Turkey. The Secretariat, Staff, and Board of Directors would like to thank all of the past and present delegates, advisers, Secretariat, Staff, and Board members for their support and contributions over the last three decades. We are working diligently to ensure that future delegates and advisers benefit from FHSMUN’s persistent emphasis on its educational mission.